Content Marketing: How it influences the Customers and Inbound Marketing? Influencing prospective customers starts with content marketing. As part of your inbound marketing strategy, you can generate more traffic, convert more leads and create more customers. Aberdeen reports that content marketing leaders experience 7.8 times higher unique site traffic growth year over year compared to followers. This is why 28% of marketers have reduced their digital advertising budgets to product more company-specific content. They understand that influencing prospective customers requires a focus on content marketing. By reaching them during their buying process, you can build trust. This positions your organization as the top choice when they are ready to purchase. Creating a content marketing strategy requires an understanding of how inbound marketing and content marketing work together. Content marketing requires creating and distributing online materials that stimulate interest in products and services. They do not promote a brand. Rather they educate or entertain. Examples of content marketing include articles, social media posts, videos, and blogs. Inbound marketing attracts customers through unique content. This contrasts with traditional outbound marketing strategies such as advertisements and press releases. Essentially, this strategy attempts to answer customer’s needs when the customer begins their search. While an inbound marketing strategy includes content marketing tactics, it can extend beyond those tools and methods to website design, search engine optimization, and pay per click advertising. Businesses have adopted these methods and strategies because they target customers at influential stages in their buying journey. The numbers prove the strategy works. Although content marketing costs 62% less than traditional marketing, it generates approximately triple the amount of leads. For example, small businesses with blogs receive 126% more lead growth compared to similar businesses without blogs. 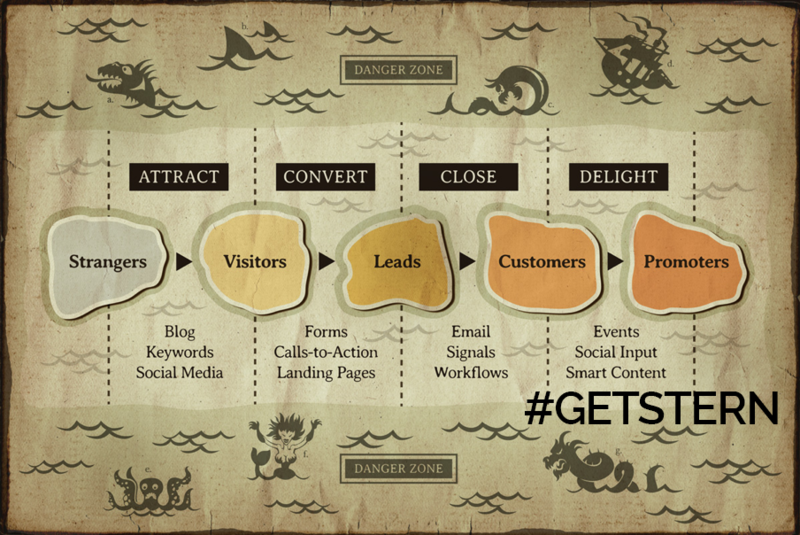 So, businesses that want to attract new customers adopt content marketing as part of their inbound marketing strategy. Typically, the customer’s journey moves through four key steps. First, customers experience a need, known as awareness. This leads them to the next stage which includes a search for information. Second, customers move to interest. During this step, customers find information about products, brands or services. Third, they enter the consideration step. The customer compares competing organizations, reviewing information that helps them make decisions. Finally, they become a customer. As prospective customers enter the interest stage, your business has the opportunity to both engage and influence them using content marketing. First, you can provide useful, educational information to help their search. Second, you can delight customers with unique content. You can see why 48% of marketers support the customer’s journey with specialized content. That specialized content should be built around common customer questions to help them evaluate your company, product or services. – How do I purchase? – Why should I purchase? – Where do I purchase? – What does your company stand for? – How do you compare with competitors? – What do industry leaders think? – What are the features and options? – How does this benefit me? – How can this help me reach my goals? As you answer these questions for the customer, you build trust with them. Soon, they’ll start to see you as a helpful, generous entity because you focus on meeting their needs. This creates customer satisfaction over both the short and long term. Both prospective and current customers appreciate brands that focus on their satisfaction. This often referred to as customer delight. Organizations can create this satisfaction through content marketing by solving customer pain points. As you develop a content calendar, consider your customer’s big questions. Review your organization’s frequently asked questions (FAQ) to see what topics come up most. Take some time to talk to customer service representatives and sales people to see what issues prospective customers bring to them regularly. Then, you can create content that meets those recurring customer needs. Content marketing can help you reach your inbound marketing goals in conjunction with your other strategies. That’s why about 60% of marketers produce at least one new content asset every day. To keep up with competitors, you will need to adopt a similar strategy. Your inbound requires useful, engaging content to both attract and convert new leads. So, review your website and look for areas where you can generate content that customers crave. Each of these types of content can be customized to your target audience to aid them during the consideration phase of their journey. Then, you will be able to influence them toward your products or services because they trust your brand. Adopting content marketing as part of your inbound marketing strategy is a rewarding process. You will probably find a host of topics and questions around which you can build engaging content. The only limit is your creativity and imagination. We love to hear from readers like you about how your business needs. If you like this article, please share it on social media. Also, tell us your thoughts in the comments!